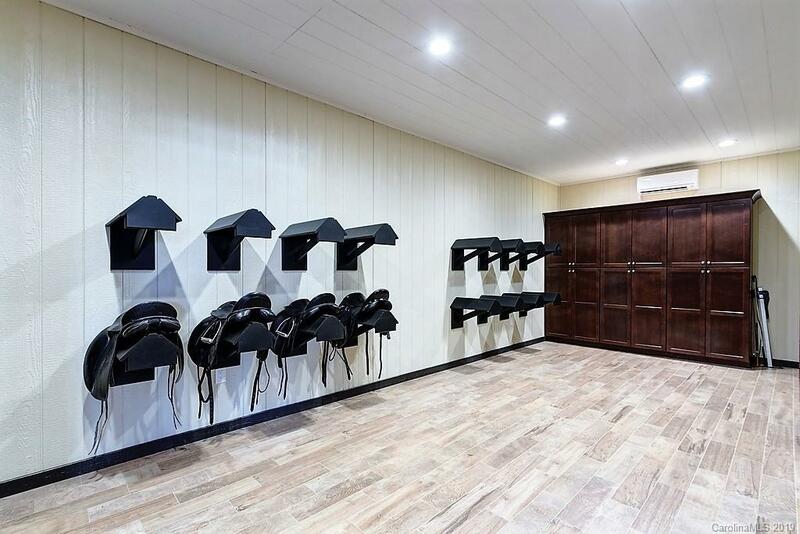 Over 6,000 years ago, horses changed the course of history. Second only to the domestication of dogs, man’s other best friend made history, literally helping man conquer the world. 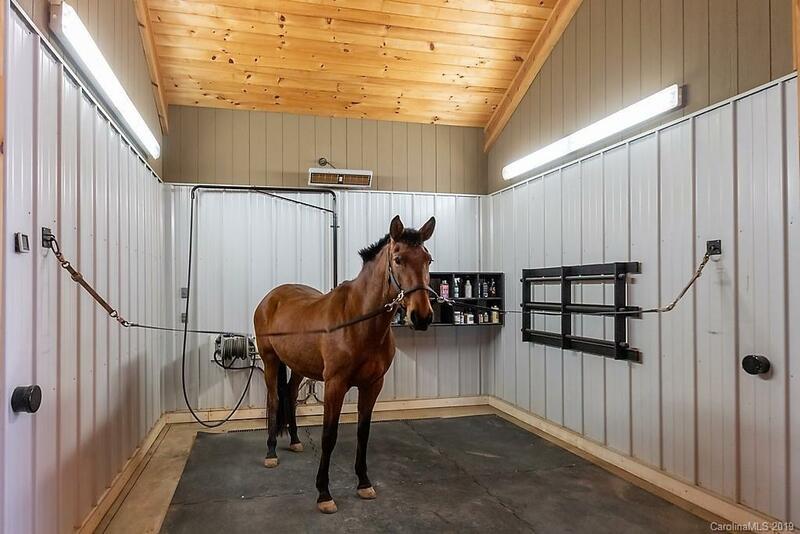 Something special happened when the horse became domesticated, signaling a major innovation in transport and communication. 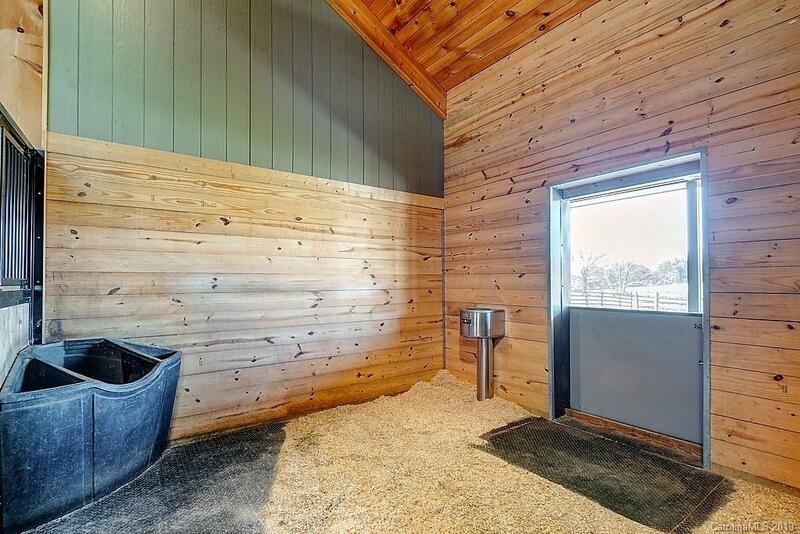 Once the speed and power of the horse were harnessed, the world was transformed. 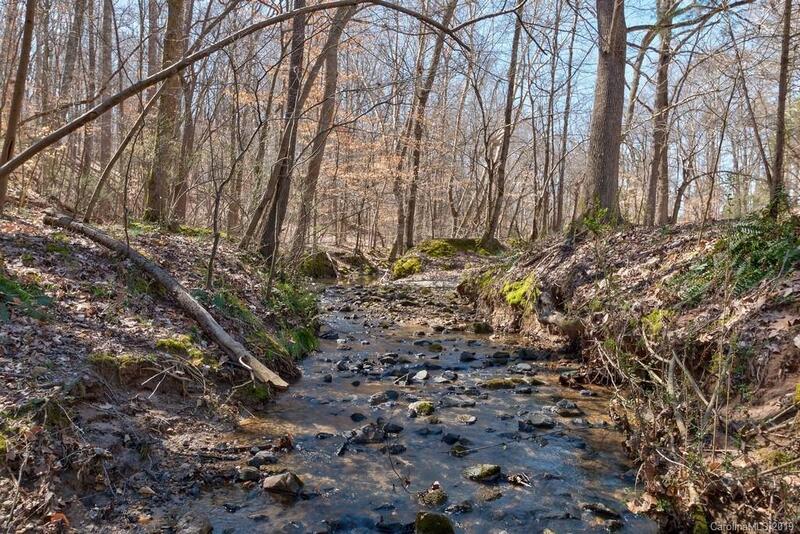 Divergent peoples were united, distant travel became viable, and cultures and languages raced around the known world. 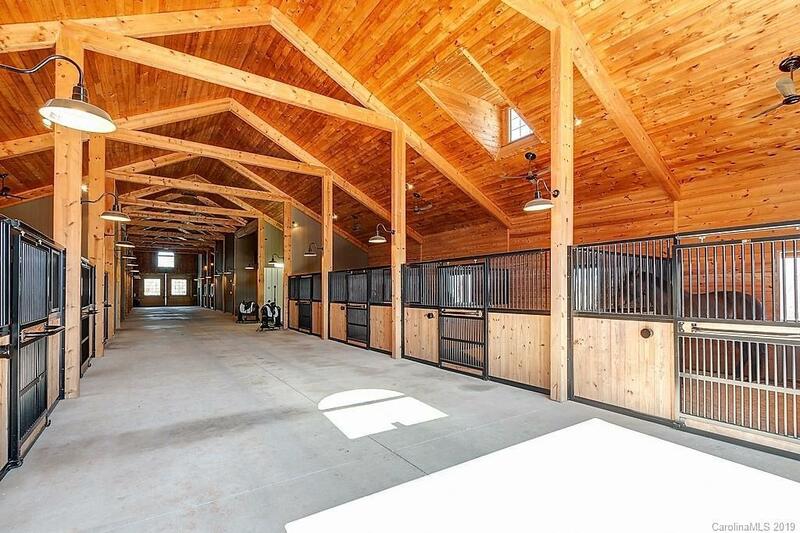 Over the years our dependency on the horse has vanished. Today the horse is mostly ridden for sport or recreation. 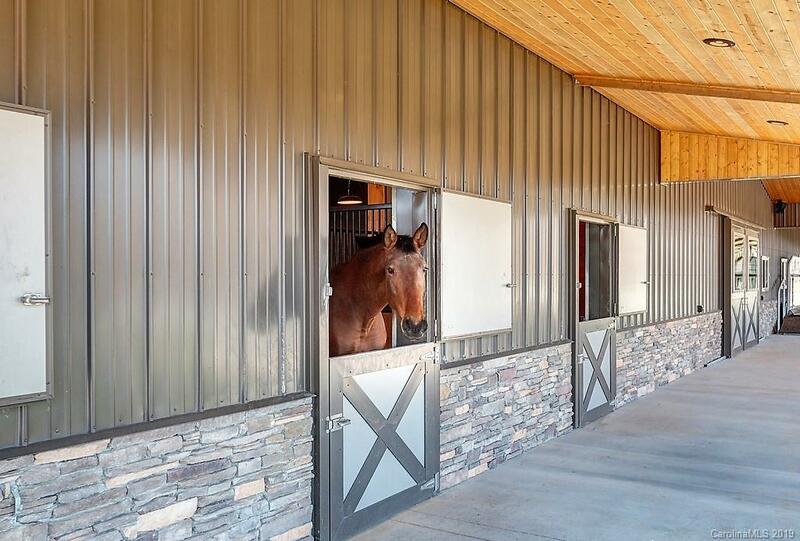 Humans and horses have had a relationship for millennia, and horses perhaps understand humans in ways we don’t even know. 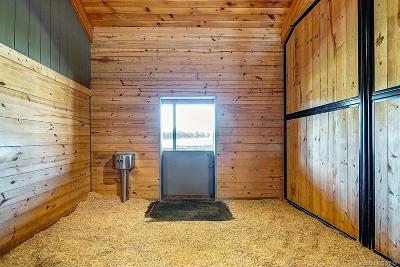 Recent scientific studies regarding equine-assisted activities and therapies suggest several ways horses are beneficial to the mental and physical wellbeing of humans, such as autism, sensory integration disorders, language development and trauma recovery in children. 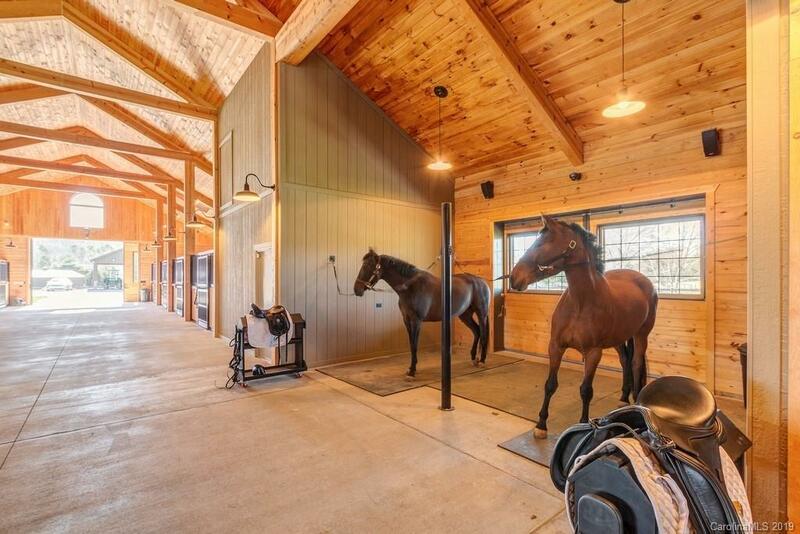 Our love for this majestic animal is manifested in the care provided, and farms worldwide give testimony to our lasting relationship with horses. 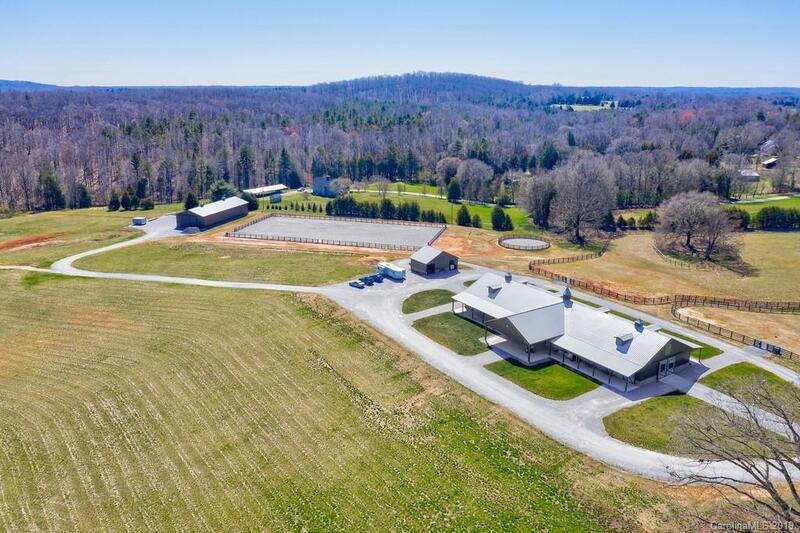 One such farm is located in the scenic South Carolina Piedmont countryside just outside Clover, SC. 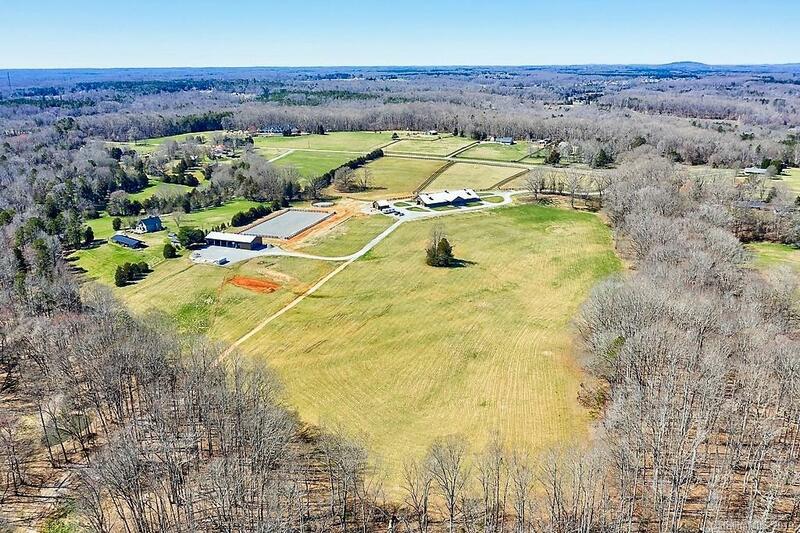 Part of the Charlotte Metropolitan Area, Clover is small town, beautiful countryside, just minutes away from urban amenities. 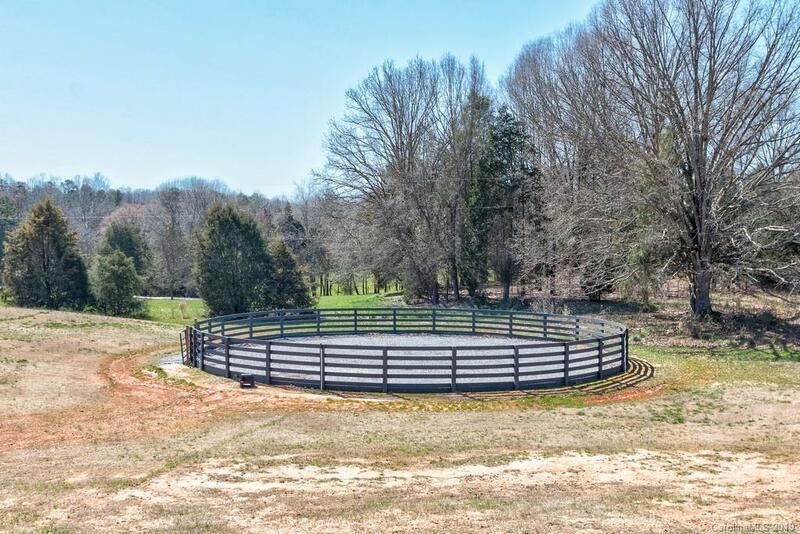 It is a short drive to Lake Wylie, approximately 40 minutes to downtown Charlotte, a half-hour trip to Charlotte Douglas International Airport (the 7th business airport worldwide), a short drive to I-85 with easy access to I-77 & I-40, and less than 90 minutes to the Tryon International Equestrian Center. 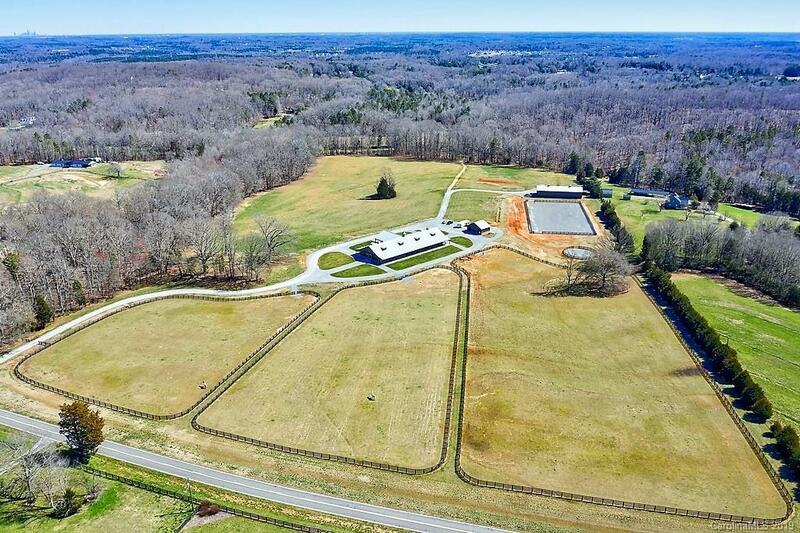 The nearly 65-acre equestrian estate at 680 North Kingsburry Road was designed and built to fully appreciate, breed and/or train horses. 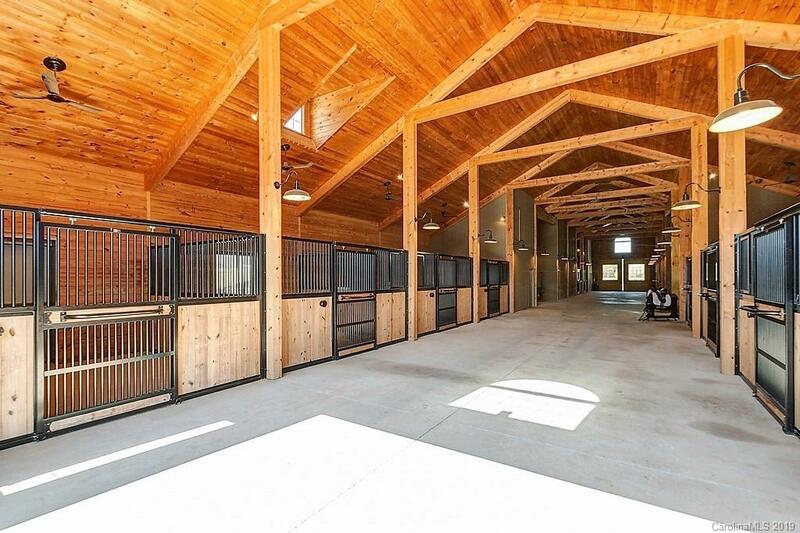 With an eye to the serene setting, the equestrian center was built to complement the surrounding land. 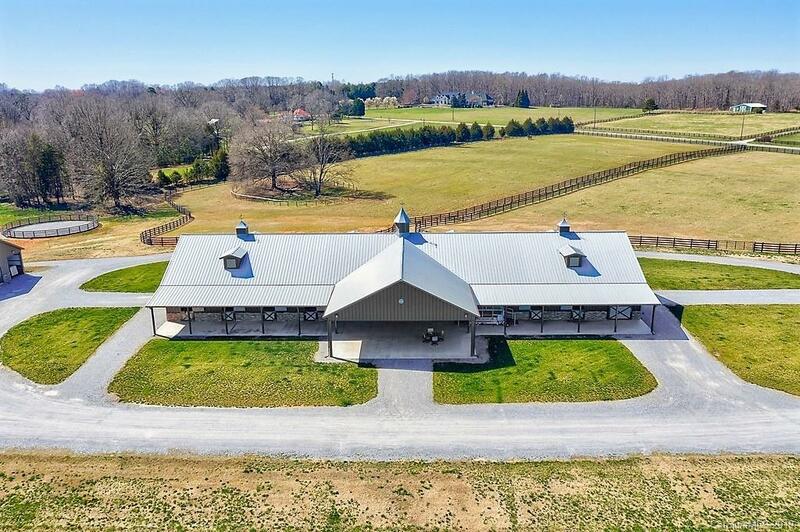 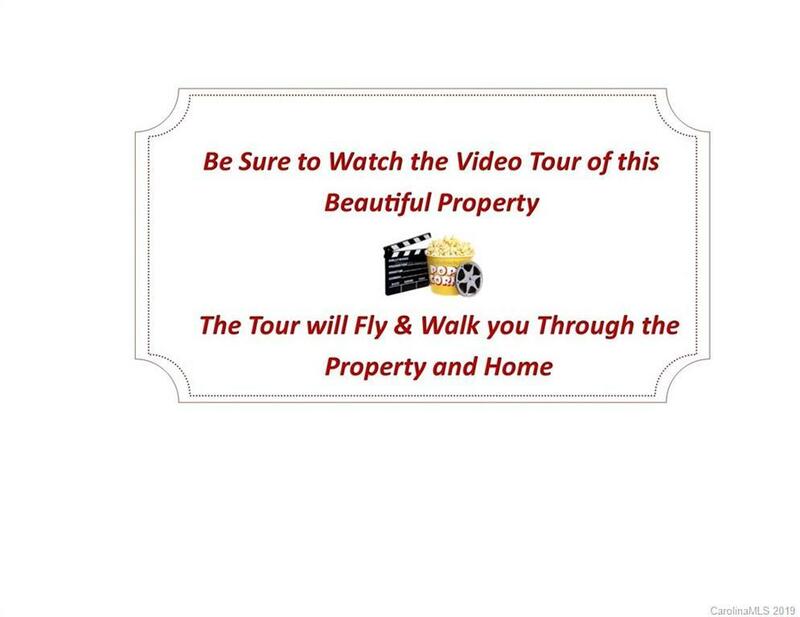 Pass through the gated entrance, down the long private drive and 3 large board fenced pastures to a barn worthy of triple crown winners. 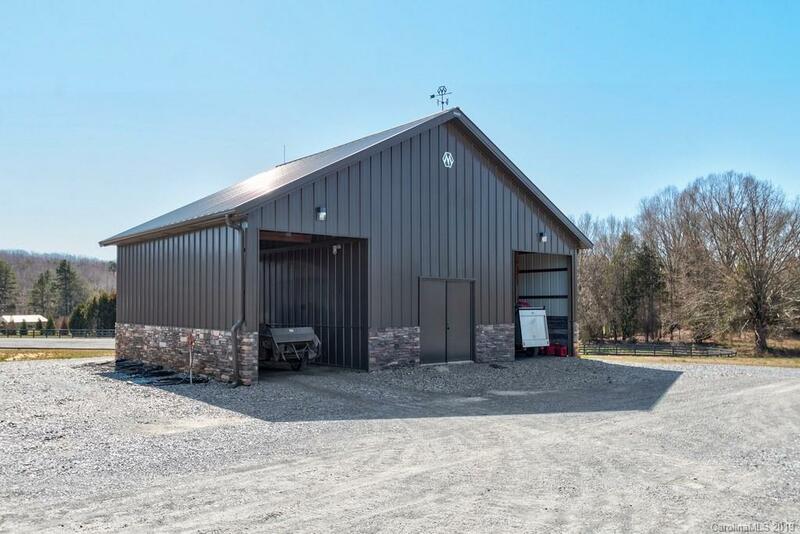 The 7,600 sf stone and metal Morton barn, built 2015 is both stylish and functional. 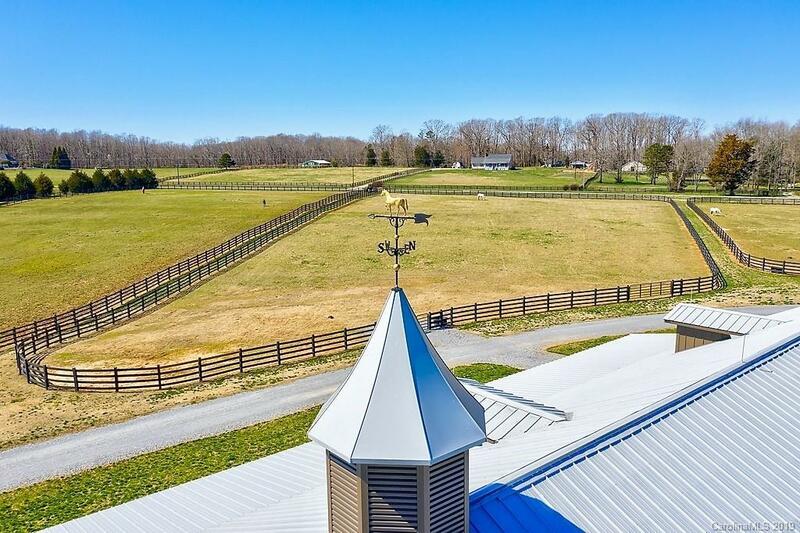 Cupolas, dormers, covered walkways front and rear and a gable canopy entrance greet you. 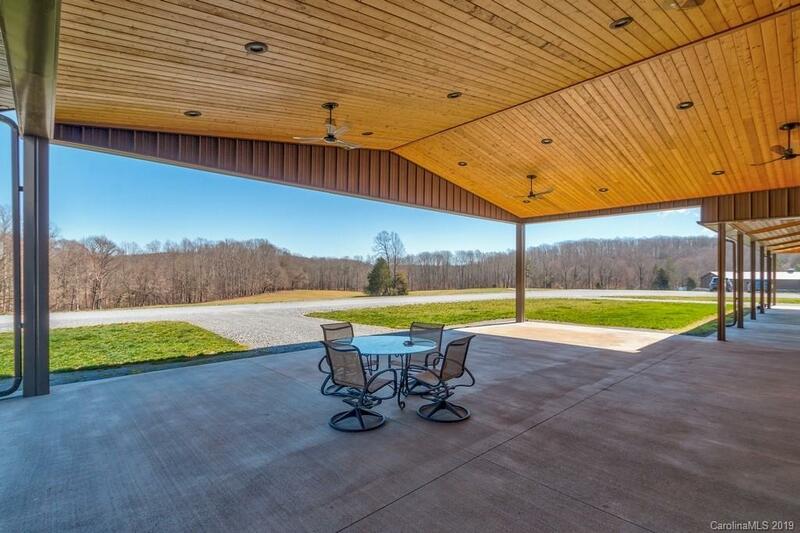 Sliding end doors, large windows, and side sliding doors provide light and cross breezes. 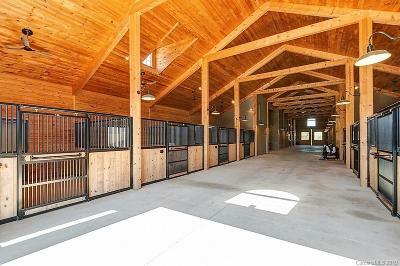 Inside, a 20’ wide center aisle framed with large beams and a 23’ high cathedral, pine tongue & groove ceiling speak to the quality of the barn. Housed in 12 (14’ x14’) stalls with automatic waterers, mats, fans and Dutch doors open to the outside overhangs, horses are both safe and comfortable. 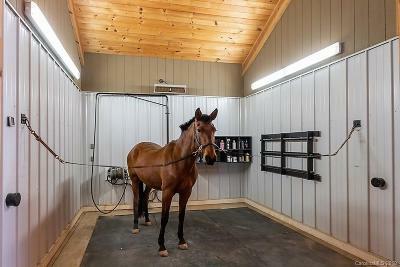 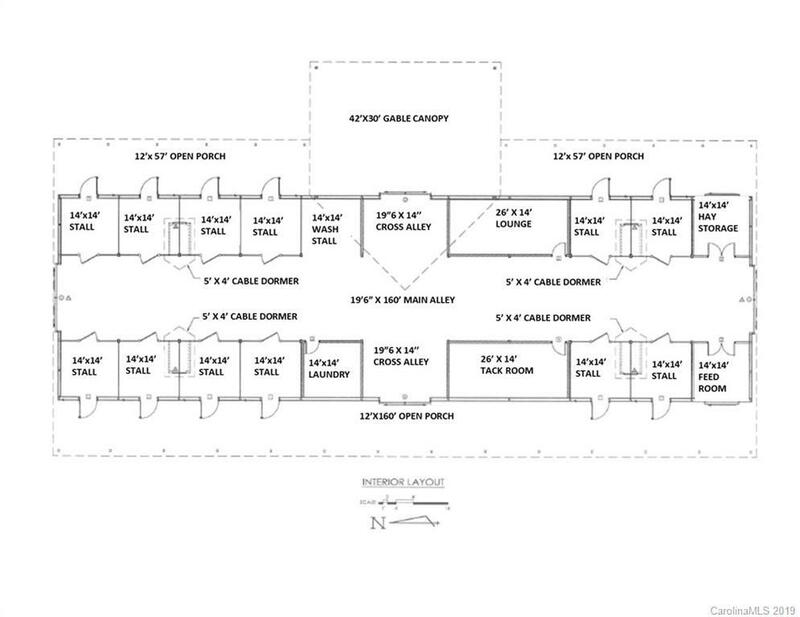 The wash- stall has hot & cold water, drain, mats and heat lamps; and there are two cross tie areas. 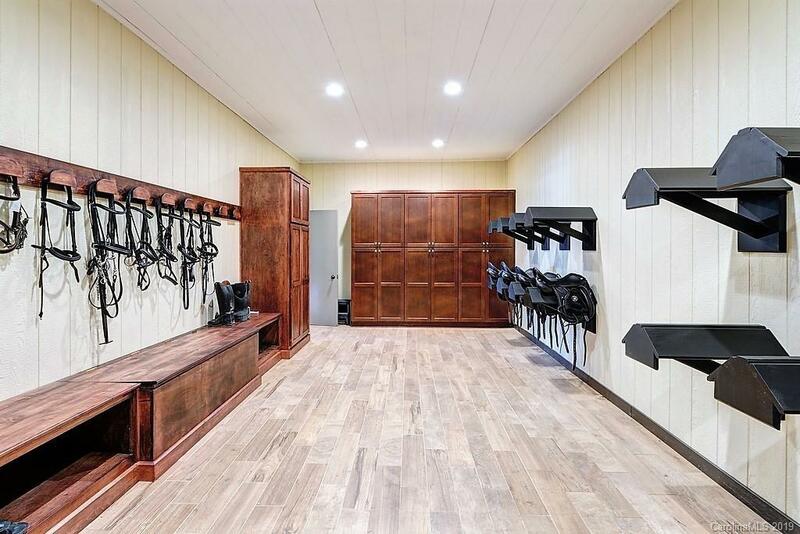 There is also a large climate-controlled tack room with built-in racks, bench and cabinets. 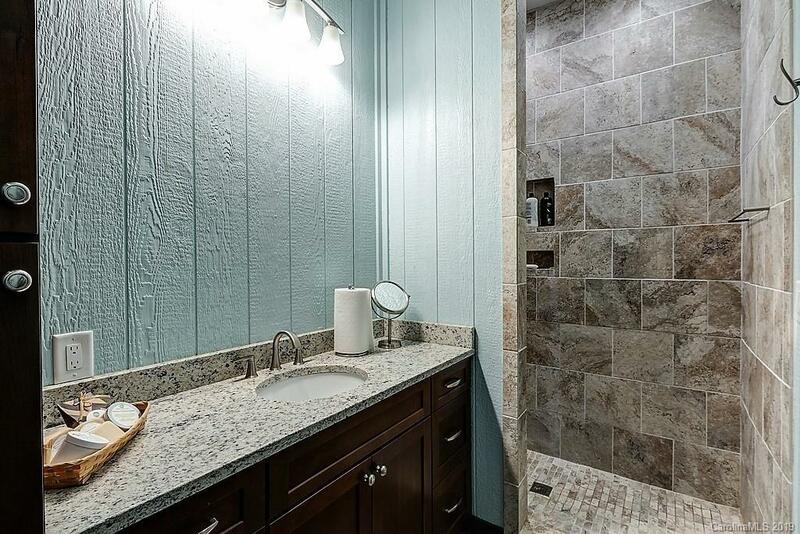 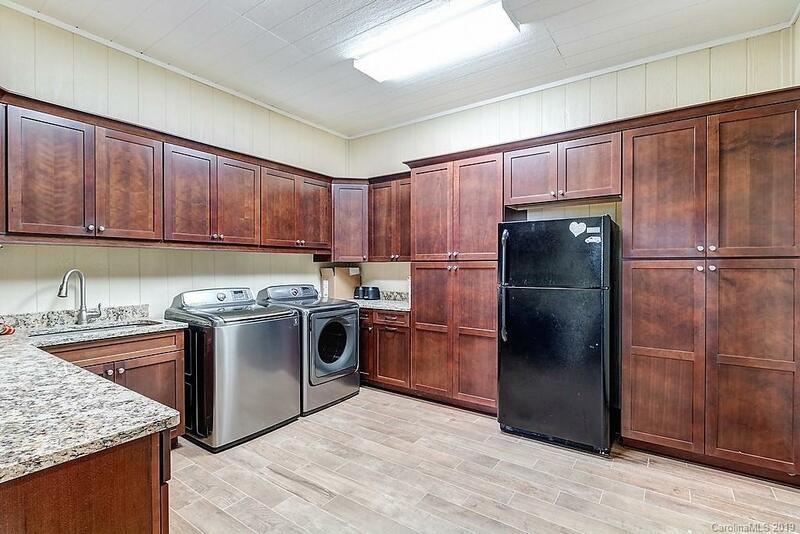 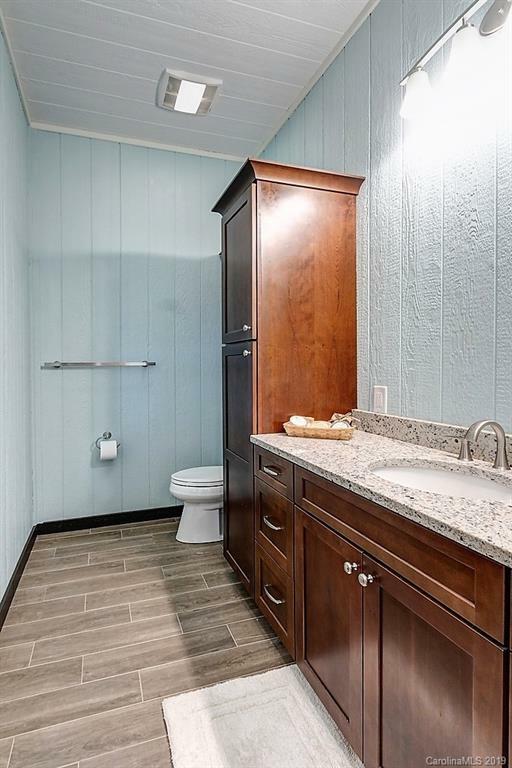 A full laundry room, also climate controlled, is available with extensive cabinetry w/granite countertop, utility sink, washer and dryer and refrigerator. 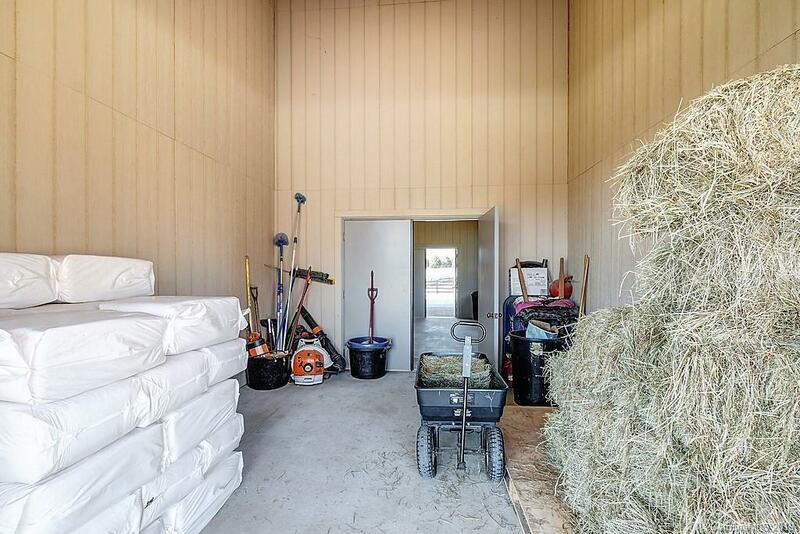 The barn also offers separate feed room and storage room, each with exterior doors. 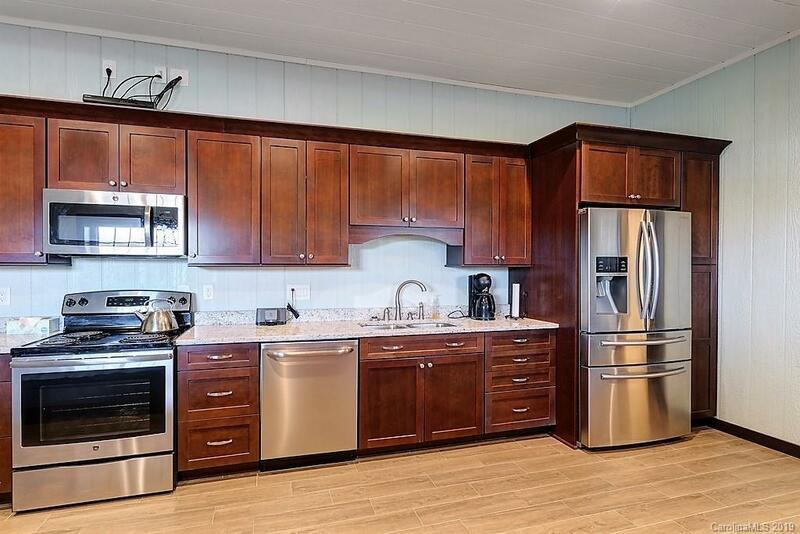 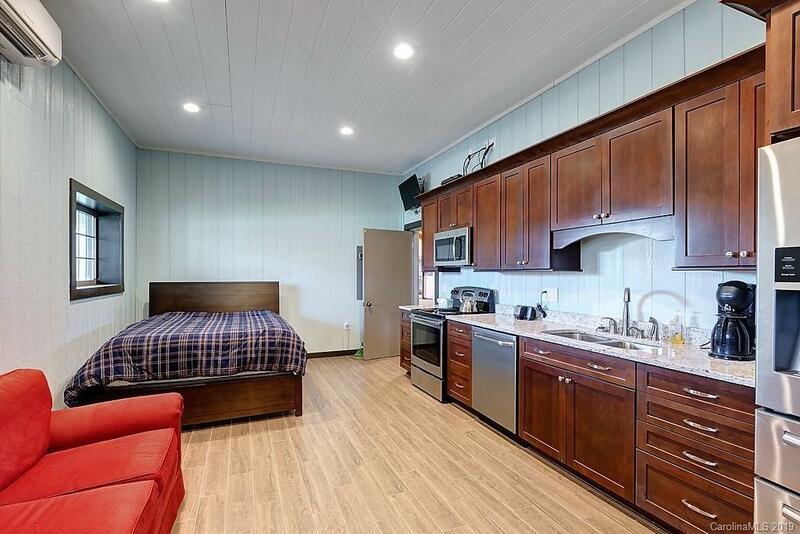 The lounge (14’ x 28’) has a full kitchen with cabinets, granite countertop and stainless steel appliances, full bath with shower, television and sitting/sleeping space. 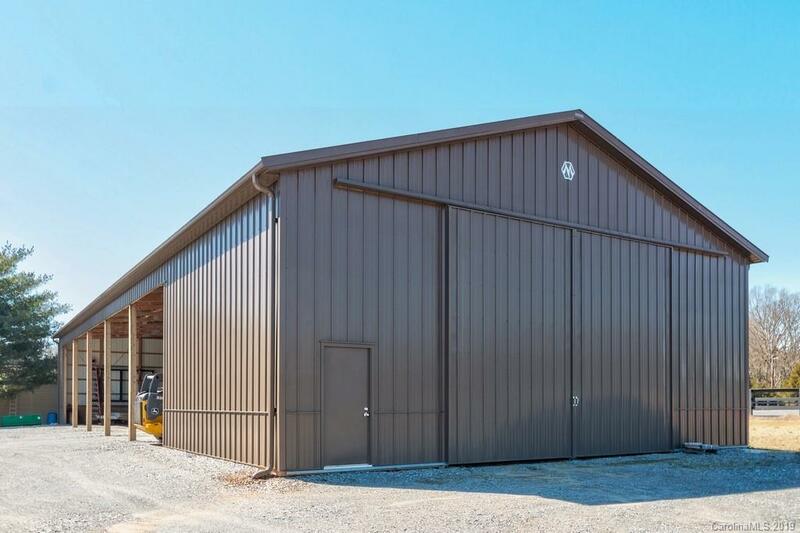 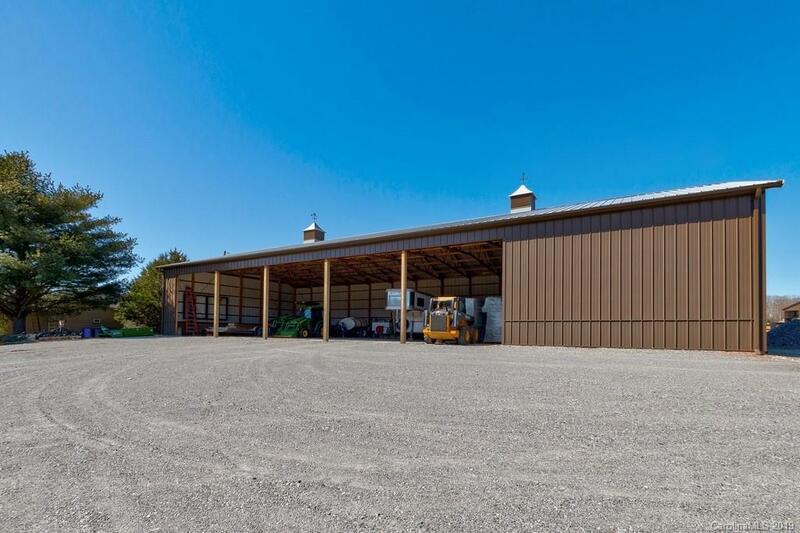 To support this state-of-the-art barn/property there are two separate utility buildings: (1) 42’ x 105’ hay/equipment building (capable of holding 1,000 bales) with sliding end doors and 4- bay equipment/trailer storage, and (2) 36’ x 25’ tool/well/control building with 2 pull through bays for ATV/tractor storage. 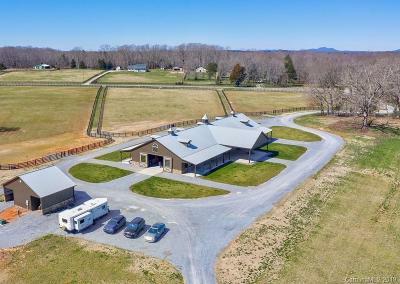 The barn area also has a RV hook up and landscape irrigation. 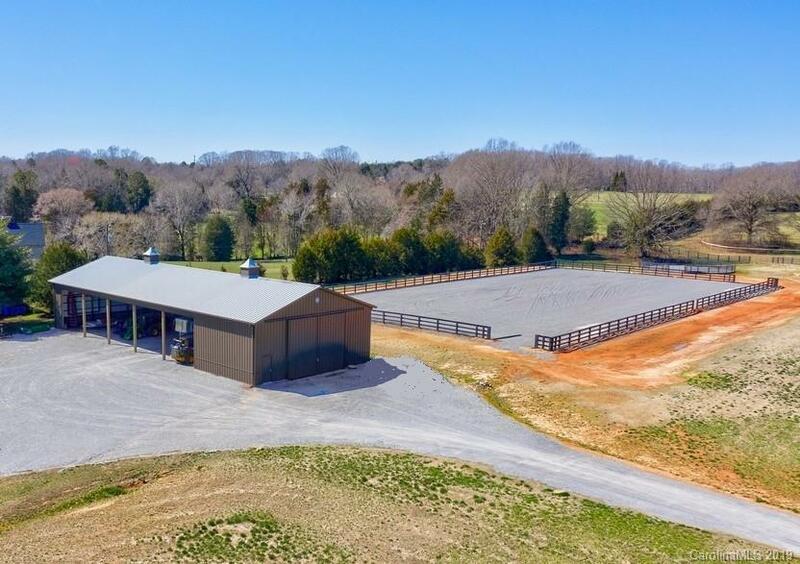 Training facilities include a 60’ diameter round pen and 125’ x 250’ arena, both with 4” clay base and 6” crushed & run, and 4” sand/GCT mix footing. 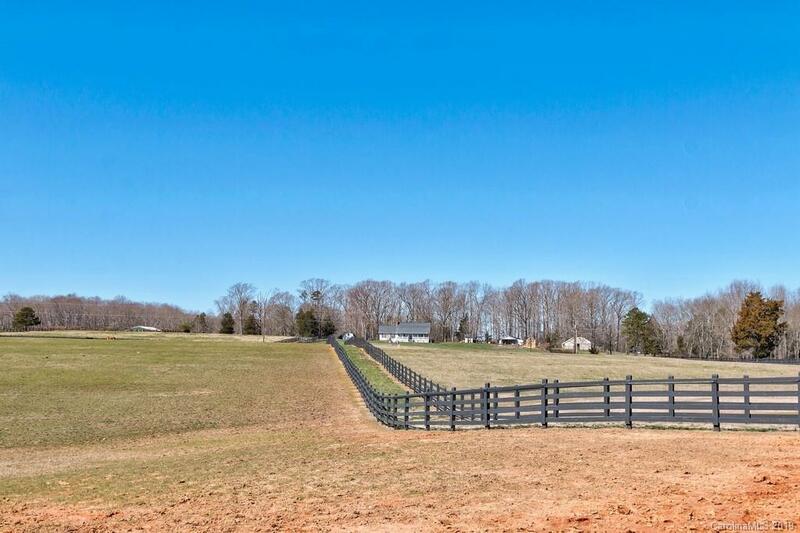 The property compliments the outstanding infrastructure. 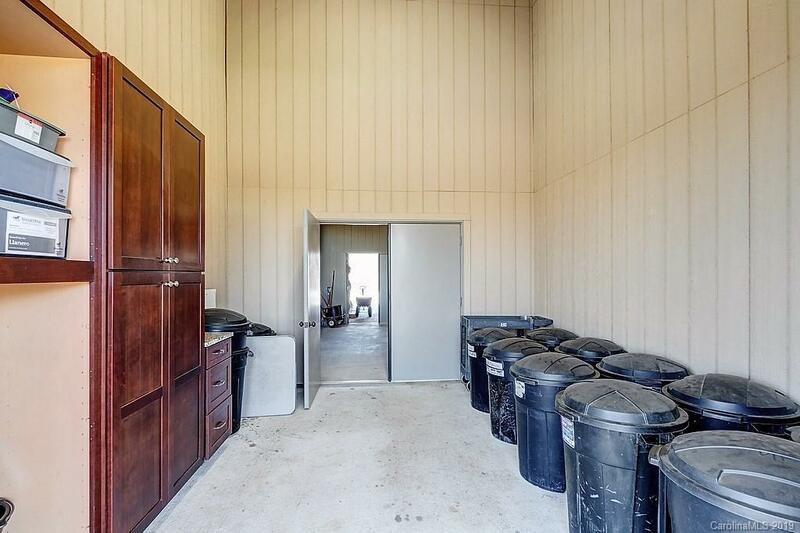 The power to support the property is buried to maintain the appearance. 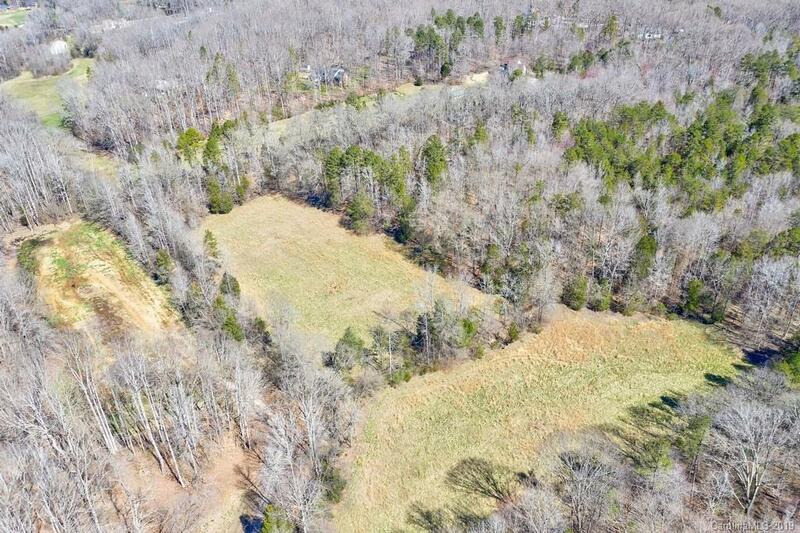 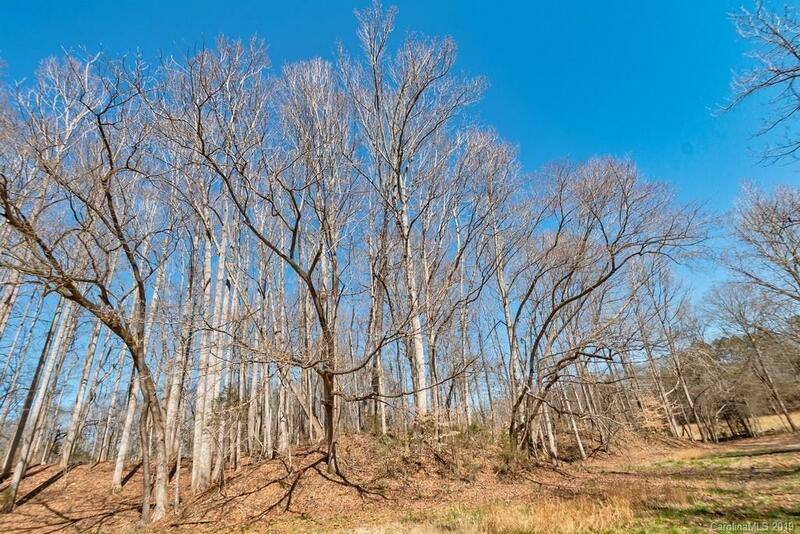 In addition to the three 4-board pastures (each with water) and 12-acre hay field there is approximately 25-30 acres of mature hardwoods, year-round creeks, multiple potential home sites and 881’ of road frontage. 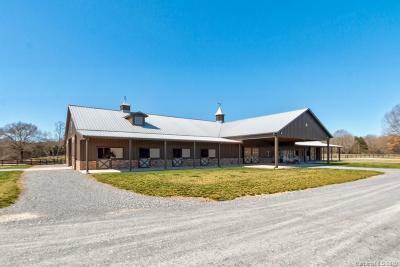 It is here at 680 North Kingsburry Road that you can begin or continue your personal relationship with horses. 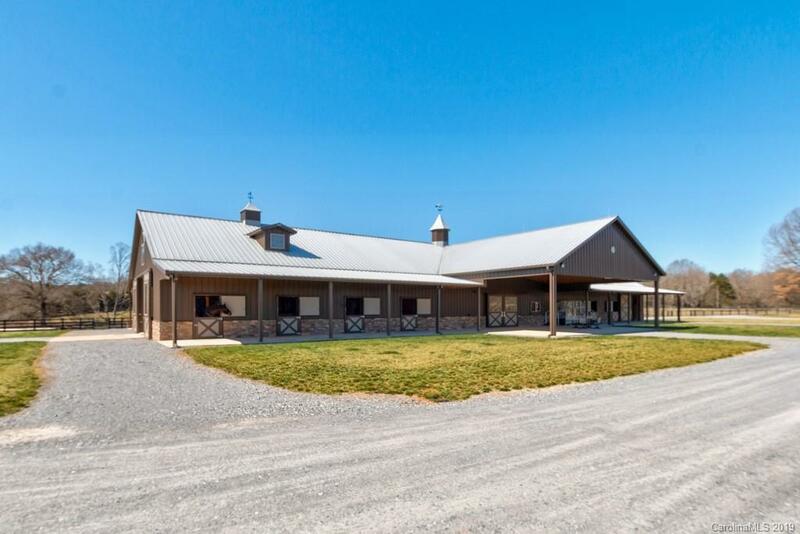 The options are multiple, world-class equestrian center, unique events venue, equestrian community development…or just home.